Ginco v1.7.0 Update information | ETC & CHSB are now supported. The latest version of Ginco (v1.7.0) has been released. From this version, Ethereum Classic and Swissborg (CHSB) are now supported in your wallet! 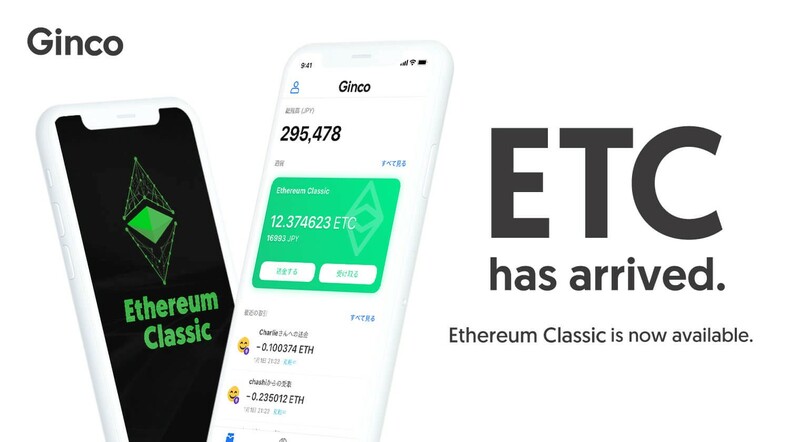 Ethereum Classic (ETC) is a popular token based on Ethereum, which is currently ranked 13th in the coinmarketcap ranking. It was first born after the DAO bailout hard fork from the Ethereum blockchain, and since then, it is governed by the decentralized community. You could check more detail of the ETC from here. SwissBorg is a crypto wealth management platform aiming to offer best-of-breed investment solutions backed with institutional grade technology, available to everyone. CHSB token has built-in digital referendum function. Swissborg is also utilizing A.I. advisory function to realize more democratized finance and security world. You could check more detail of the Swissborg from here. Ginco is now supporting six blockchains. We run our own nodes & APIs for each of the blockchain in order to provide high usability for our users. Please check out the Ginco wallet’s security features to understand about our product more deeply.